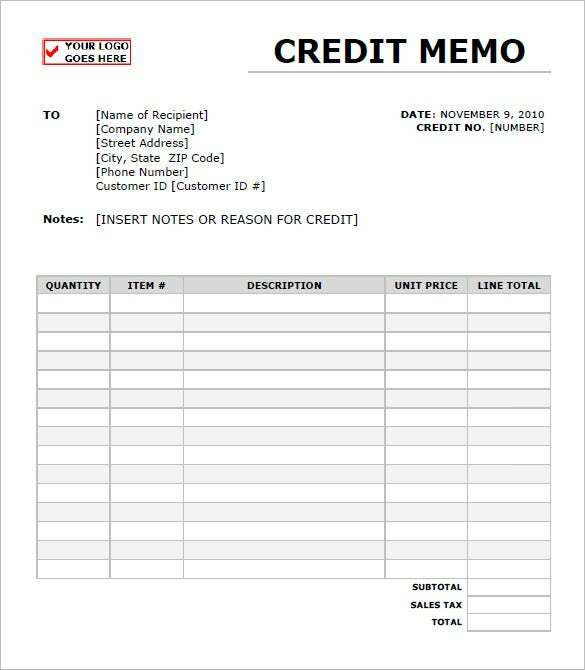 A credit memo template also known as an invoice is a document in which a seller indicates the transaction details of a service or a product purchased under a single transaction. 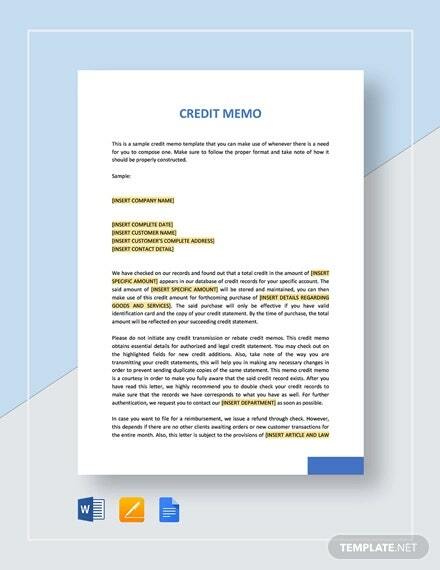 Most people do like combining a credit memo with a statement. However, the two are completely different. A seller writes a credit memo for a single transaction. On the other hand they may issue a statement to a particular customer. 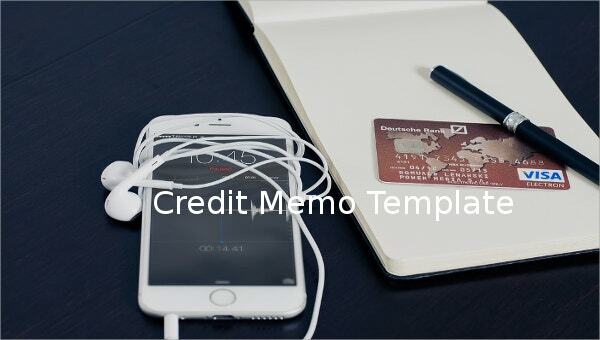 Credit memos are not hard to write and especially when using a credit memo template. 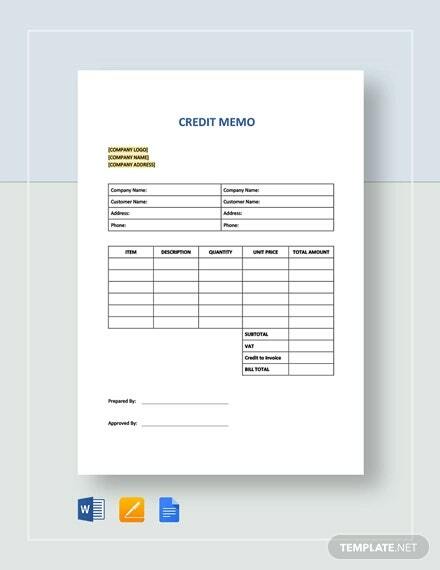 Ensure that the internal credit memo template you have chosen have key elements that will make your credit memo perfect and effective. 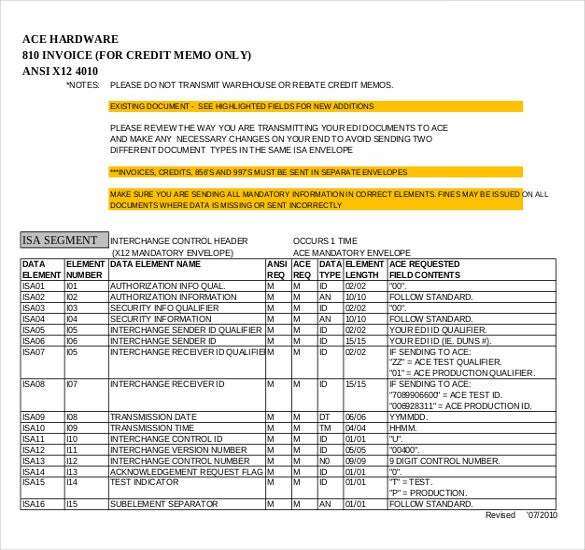 A credit memo should not miss a title. 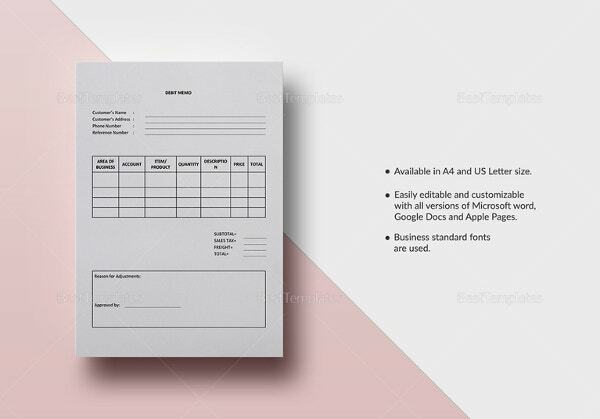 The title is mostly indicated as a purchase invoice or a sales invoice.You can also see Debit Memo Template. To facilitate future references a credit memo should have a number for the future inquiries. 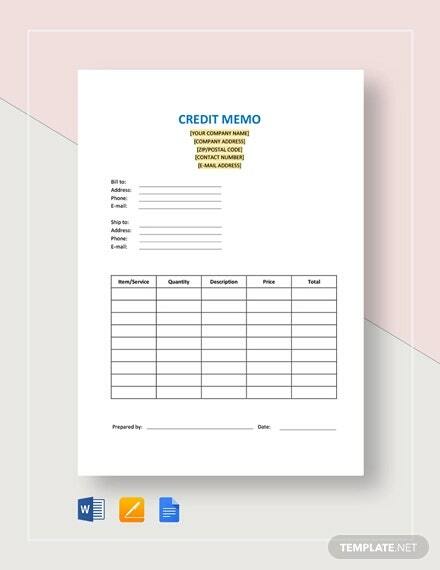 Further ensure that the Memo Template have information relating to the vendor, the credit memo issuance date, include the payment methods, the type of deliver, the price and the tax charged and the shipping details.To create a good credit memo document, you can use different word processor tools or spreadsheet software. This will allow you to understand the basic elements of the memo like the correct inventory placements. 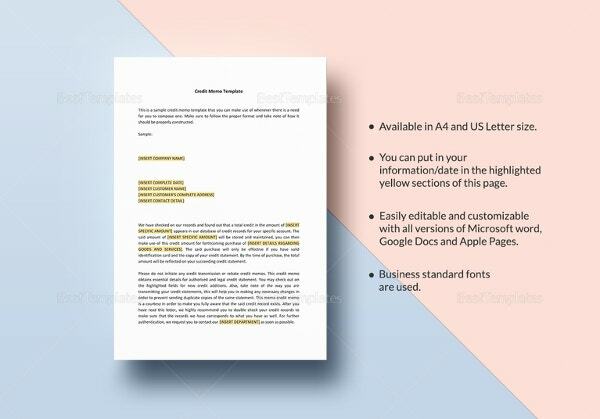 iconnect-corp.com | This particular cash memo template is for sellers who want a detailed cash memo to give to their customers. 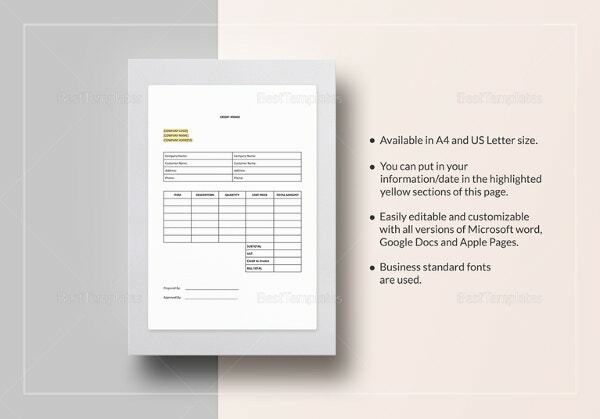 This template would contain all the details of your products, the rates, some descriptions et cetera all in a tabular format. 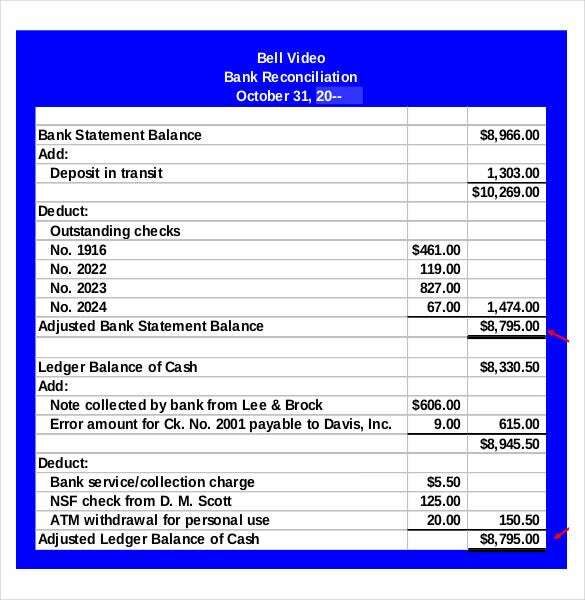 cerritos.edu | All bank transactions require memos. 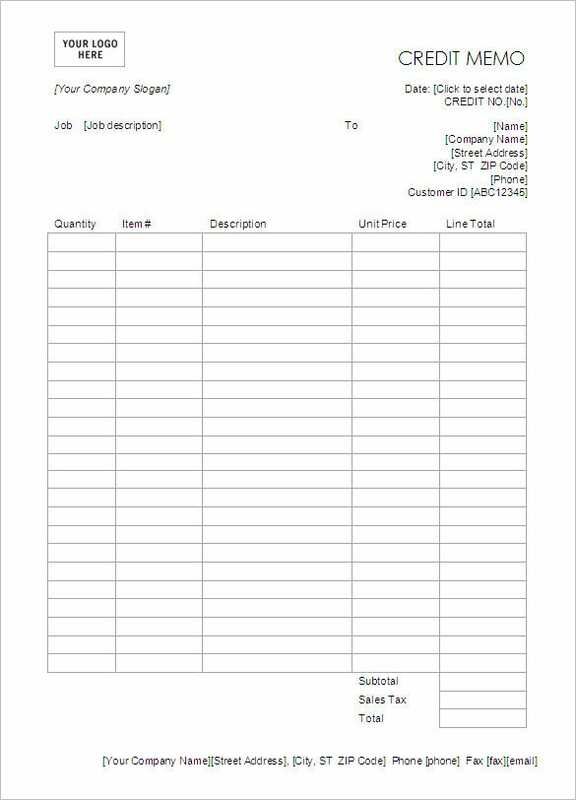 So if you’re to create a bank memo, this is the template you should go for. It would contain all the essential details of your bank transaction. 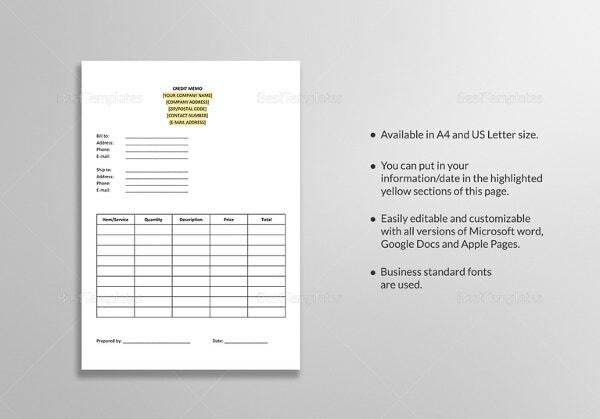 All your customers would surely appreciate such a well designed memo. 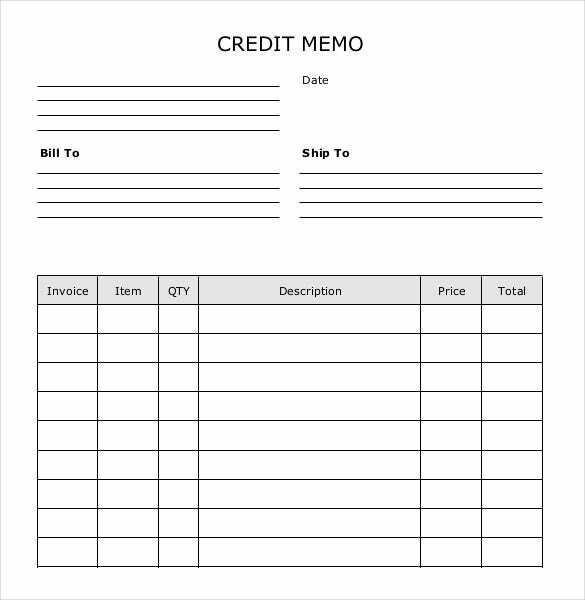 printableinvoicetemplates.net | This credit memo has been kept entirely blank except for the columns and the tables. You can use this template and edit it in any way you want. 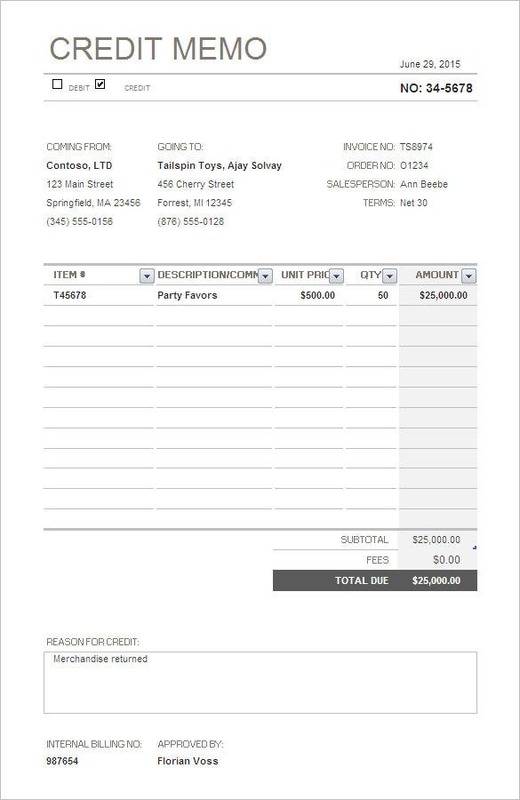 You can add any kind of details you want to the columns, and even add details about your customers at the top. 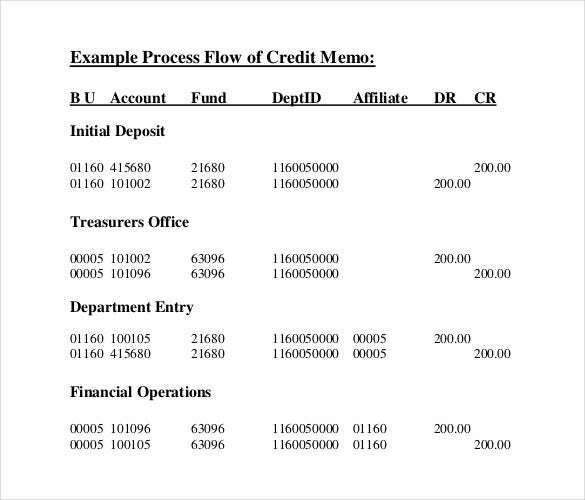 finance.vermont.gov | This credit memo happens to be in the PDF format, that means it is really easy to download and use. It would serve as a wonderful example as you strive to create your very own credit memo. What more could you ask for? 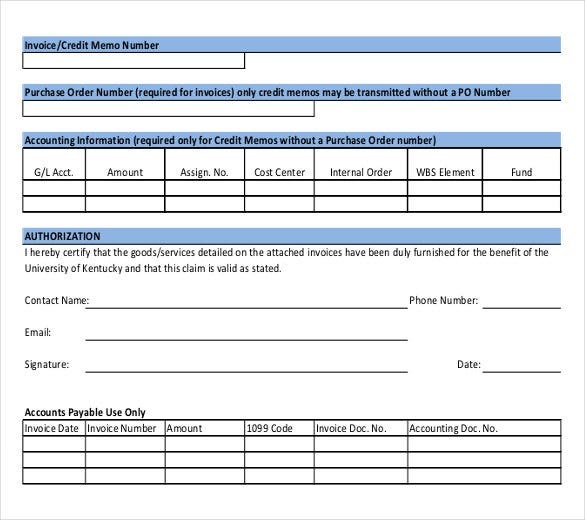 uky.edu | The best part about this kind of memo template is that it would be appropriate for all kinds of vendors. You can list your items, their prices, and other necessary details if you wish to. Having done that, you can start using it! 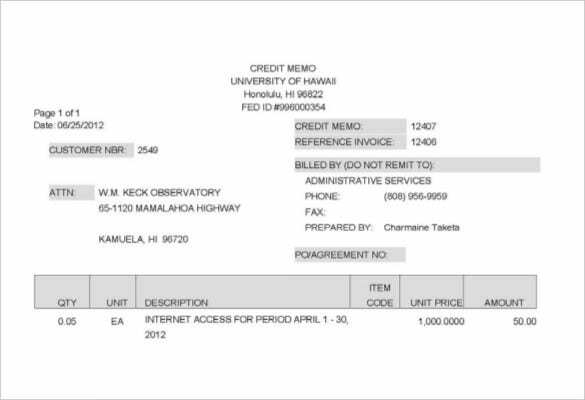 fmo.hawaii.edu | This memo template would be perfect if you were to create the customer’s copy of the memo. Usually the customer gets to keep one part of the memo while the other remains with the seller. This would be just right if you want to create the former. 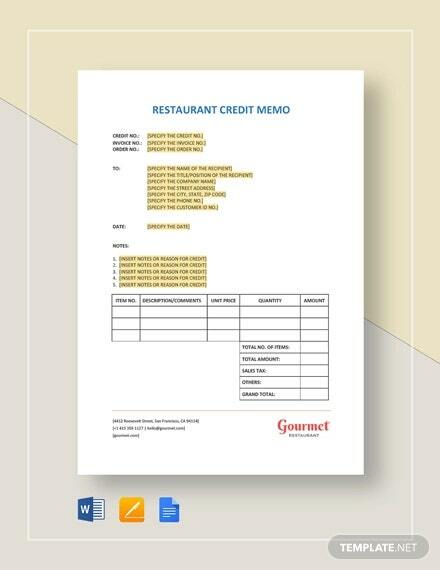 Each aspect of the cash memo has been divided into specific columns, hence, you will be able to include the items, the price, the unit amount and the total in the memo. 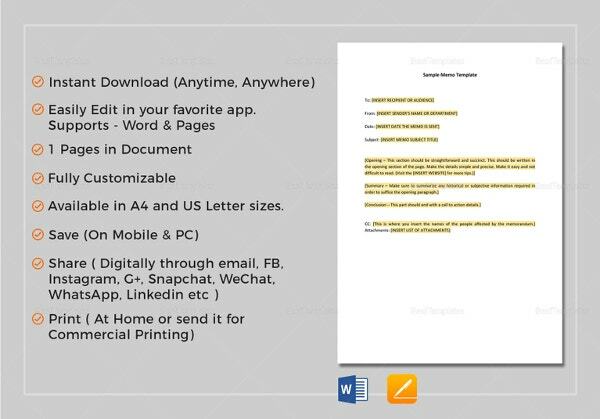 You can also add descriptions and other details in the memo. 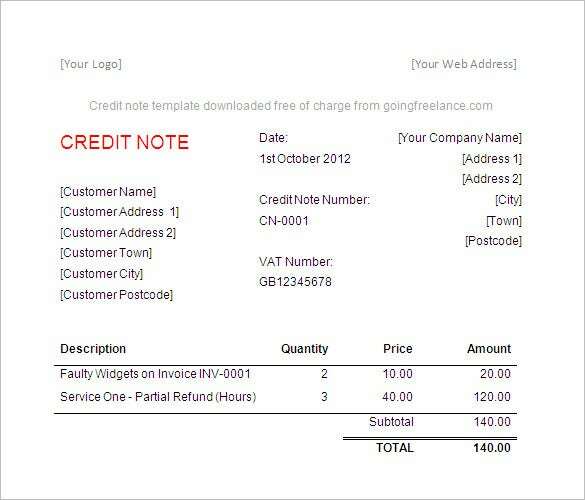 goingfreelance.com | This credit note in word is the perfect example of a well designed and useful memo. It contains instructions on it, so you don’t have to worry about making a mistake. You can just follow the guidelines, and make the most of it!